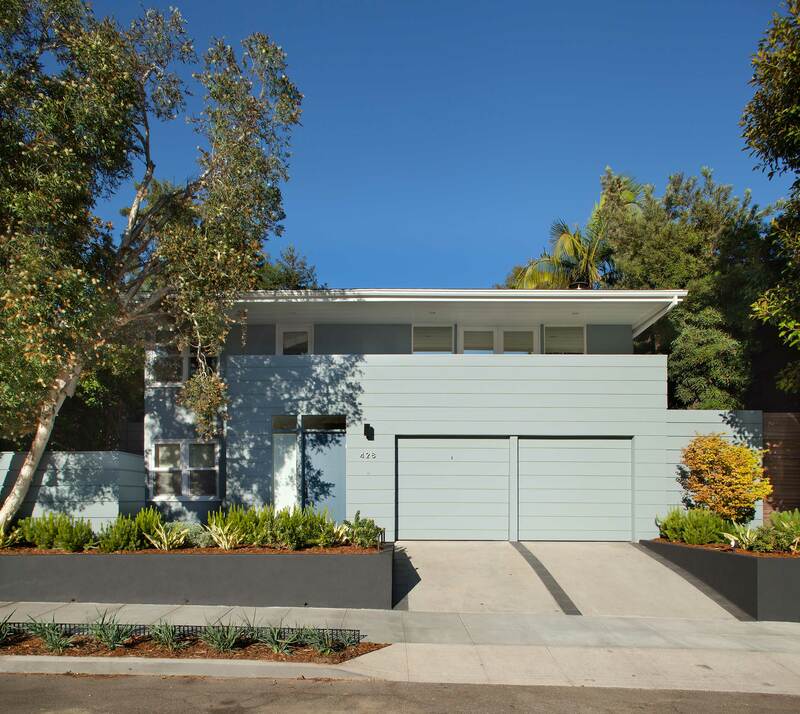 Transforming a simple patio into an outdoor room gave this small mid-century house a spacious feel. The new courtyard entertaining space serves as the home’s unifying feature, while the new pavilion carves out a retreat wholly apart from the house. 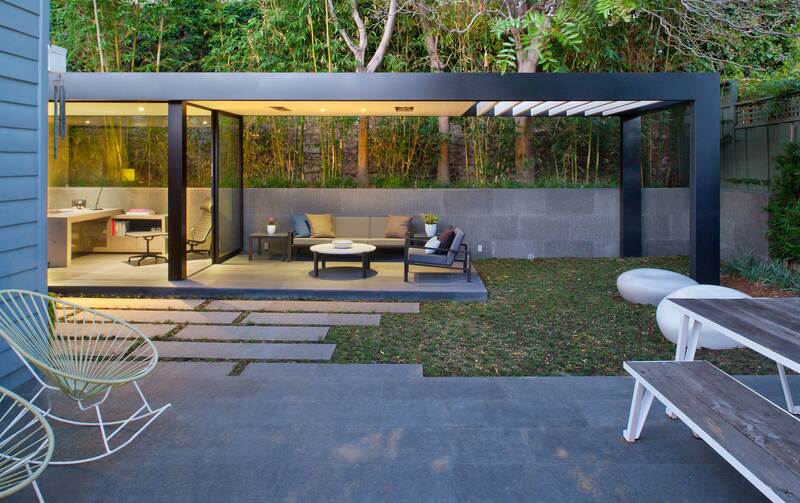 The pavilion consists of an indoor-outdoor living room and a home office. 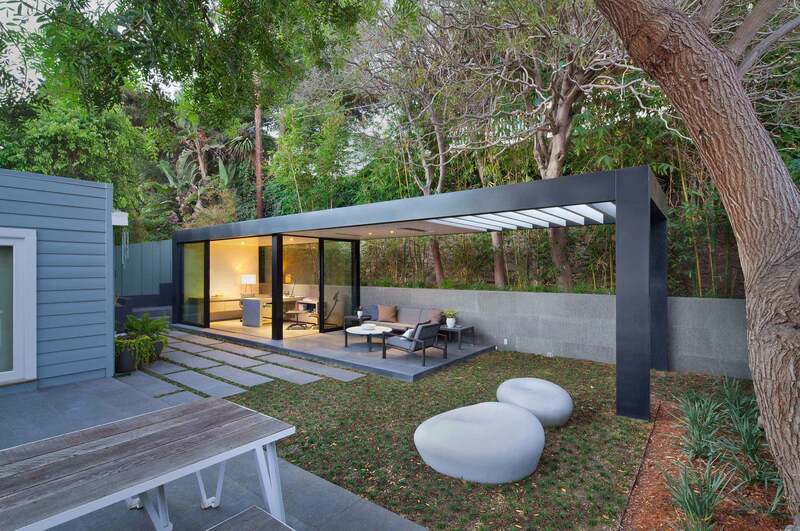 A single raised floor of flamed basalt continues throughout the whole 9’x35′ structure; rough-finished 2’x4′ basalt slabs clad its entire rear wall. 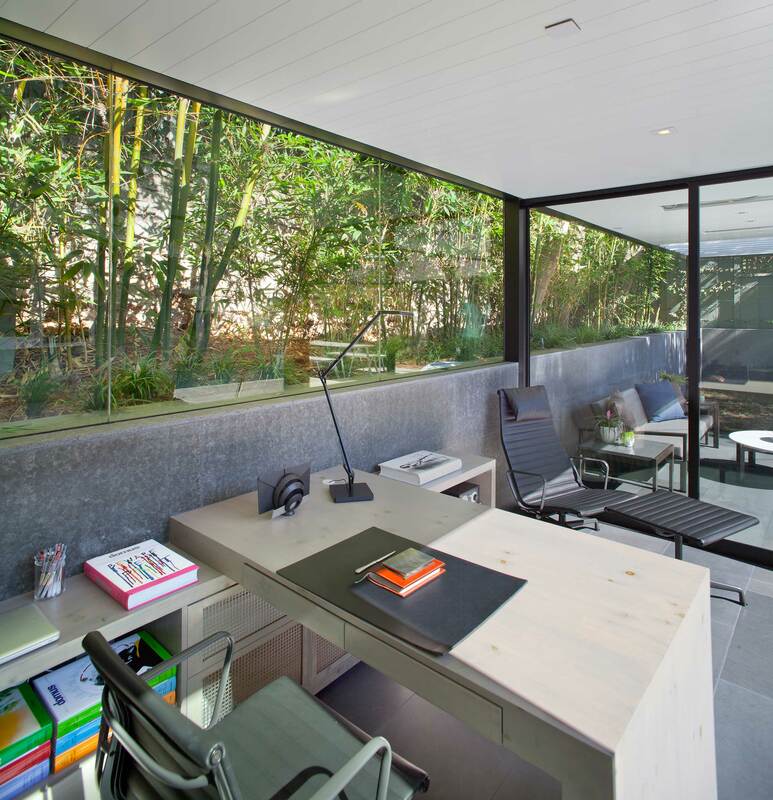 Sliding glass doors are the only barrier between the office and the backyard’s new focal point. The sitting area, meanwhile, is completely open to the lawn and garden. I Inside the pavilion, we finished the ceiling and office wall in painted, tongue-and-groove wood planks, wrapping the living spaces in a warm material. We positioned ceiling lights to illuminate the seating areas in both the office and the living space. Outdoor lights accentuate the bamboo growing behind the pavilion. By directing the view through the interior, they emphasize the structure’s transparency. At the pavilion’s open end, we installed a wooden trellis to filter daylight into the outdoor seating area and adjacent lawn. 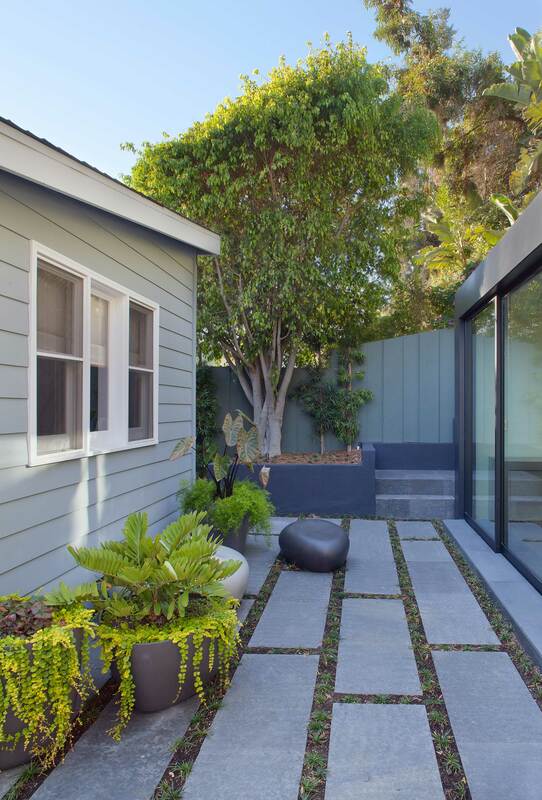 We also planted shade-tolerant Mondo Grass, and accented this green expanse with a pair of pebble-shaped, synthetic stone stools. We preserved the existing maple and Australian paperbark trees at the front of the house, and enhanced them with plantings of succulents and additional Australian species. New concrete retaining walls frame the planting beds on either side of the driveway leading to the house.